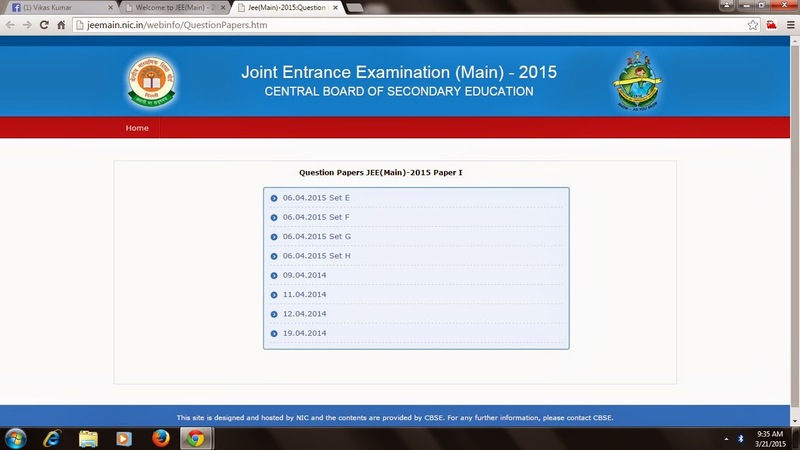 JEE main official site has uploaded questoins under the headline : Question Papers JEE(Main)-2015 Paper I... suggesting as if they are questions of 2015. But further opening the site reveals that it has uploaded questions of 2014. It is useful for students who have not seen questions of 2014 or solved it.